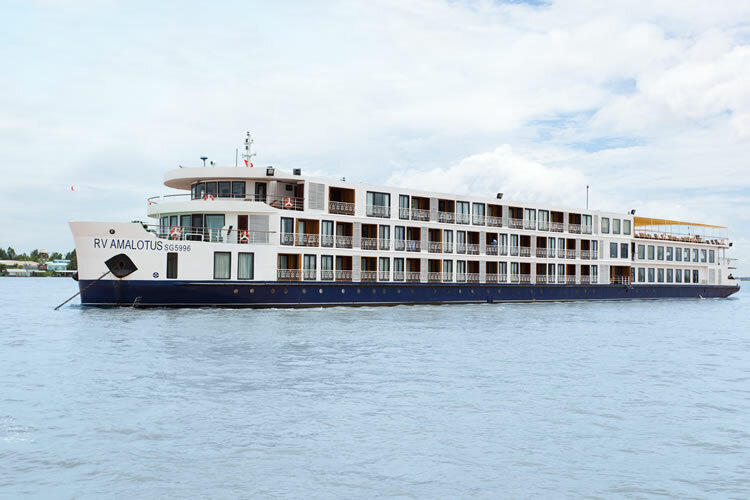 Centred around a captivating Mekong River cruise, explore a world of iconic landmarks, unique cultures and ethereal beauty on a fully inclusive luxury tour of Vietnam & Cambodia. From the bustling streets of Ho Chi Minh City and ancient temples of Angkor, to remote villages only accessible by water – you will enjoy an in-depth discovery of a truly fascinating region. Touching down in the bustling northwest province of Siem Reap, you’ll be met by an APT representative and transferred to your luxurious hotel in the exciting city centre. Near the business and entertainment districts, a stay at the Hotel Sofitel Angkor is the perfect introduction to Cambodia. Once you’ve settled in and freshened up, you can enjoy the rest of the day at your leisure. Meet your tour director and fellow travellers this morning at your welcome briefing and then head to Angkor Archaeological Park to visit the last and most enduring capital of the Khmer Empire, Angkor Thom, and the 12th-century temple of Bayon. This afternoon, you’ll explore the intriguing temple of Ta Prohm, a World Heritage-listed site famous for its bewildering intertwined trees. Later, visit ‘Opportunities of Development thru Art’ (ODA), a Siem Reap organisation that provides education opportunities for disadvantaged children. Tonight, enjoy a Welcome Dinner and a traditional Apsara dance, a performance once reserved for the royal family’s entertainment. After a Signature Experience at Angkor Wat, enjoy a guided tour of the impressive temple, the best-preserved temple of Angkor and said to be the world’s largest single religious monument. Return to your hotel for breakfast and some time at leisure. Tonight, enjoy a choice of restaurants for dinner. SIGNATURE EXPERIENCE: Rise early this morning and travel back to Angkor Archaeological Park to enjoy a special sunrise experience at Angkor Wat with drink in hand. As the sun rises over the spectacular World Heritage-listed monument, raise a bubbling glass in celebration. FREEDOM OF CHOICE - Sightseeing: This afternoon, embark on your selected sightseeing activity. Perhaps visit the temple of Wat Preah Prom Rath and participate in a Buddhist blessing; enjoy an exciting tuk tuk ride to the Senteurs d’Angkor workshop where you can shop for local handmade crafts; participate in a fun Apsara dance class; take off on a thrilling quad bike adventure; enjoy a leisurely bicycle tour across the Cambodian countryside; take a horse and cart ride; partake in a traditional Khmer cooking class; go on a shopping adventure; or perhaps indulge in a relaxing spa treatment. FREEDOM OF CHOICE - Dining: Let the many flavours of Cambodia excite your tastebuds. This evening you’ll indulge in a Freedom of Choice dining experience, selecting from a range of hand-picked restaurants for dinner. Transfer to Prek K’dam to embark your luxury river ship. Settle in to your suite before an exclusive Luke Nguyen Welcome Dinner showcasing the diverse flavours from the region of Luke’s heritage. Today brings you an authentic glimpse into the local way of life as you jump aboard a small boat and head into the wetlands near Kampong Chhnang. Known as the ‘Clay Pot Port’, the local people craft pottery under their stilt homes on the river. Here, watch out for water birds and traditional fishing traps near the riverbank. Afterwards, take a coach to Oudong, the fascinating royal capital of Cambodia from 1618 until 1866. Calling in on a local monastery, you are met by Buddhist monks before receiving a special blessing from them - an unforgettable experience. Afterwards, continue to the village of Kampong Tralach for a visit to the Wat Kampong Tralach Pleu pagoda. Then, take an exciting ox cart ride through the countryside, passing lush rice fields and smiling locals on your way back to your ship. Today, continue sailing to the village of Koh Chen for a walk to visit the fine copperware workshops. Watch the craftsmanship, learning about the process, before taking a look at the final products. Later this afternoon, you are free to explore Cambodia’s buzzing capital, Phnom Penh. You might like to wander the streets and familiarise yourself with the city before returning to your ship for dinner. After breakfast on board, disembark and join your chosen activity. Afterwards, visit the Tuol Sleng Genocide Museum, located on the site of the Khmer Rouge’s notorious Security Prison 21 (S-21). Here, you’ll learn of the atrocities inflicted upon Cambodians during Pol Pot’s Khmer Rouge regime in the mid-to-late 1970s. Your other options are a visit to the National Museum of Cambodia, or a guided city tour in a tuk tuk providing an exciting way in which to take in a range of city sights, including the Independence Monument and Wat Phnom. FREEDOM OF CHOICE - Sightseeing: Perhaps enjoy a guided tour of the dazzling white and gold Royal Palace and Silver Pagoda, which is located on the south side of the palace complex and houses many national treasures. Alternatively, you may wish to discover some of Cambodia’s sobering history with a moving excursion to the infamous Killing Fields. Transfer to a small boat for a journey along the tiny tributaries that snake around the riverside town of Tan Chau. Cruise right past a floating fish farm, then step ashore for a rickshaw tour of Tan Chau. On board your rickshaw, you’ll glide past shops, rice wine rooms and friendly locals who are always eager to say hello. Disembarking your rickshaw, you’ll pay a visit to a local silk and rattan weaving workshop. Watch as the materials are strung together skilfully, resulting in a number of beautiful and traditional items. Later, step back in time during a visit to an evergreen island where you’ll experience authentic rural Mekong life. 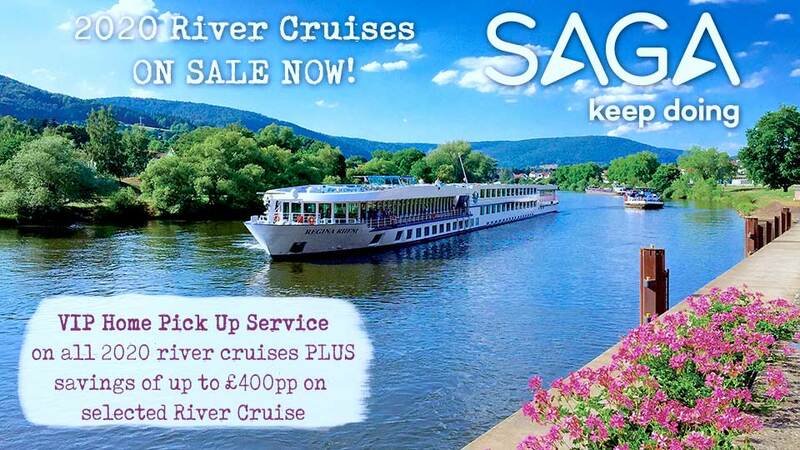 The remainder of today is left free for you to relax on board your luxurious river ship. 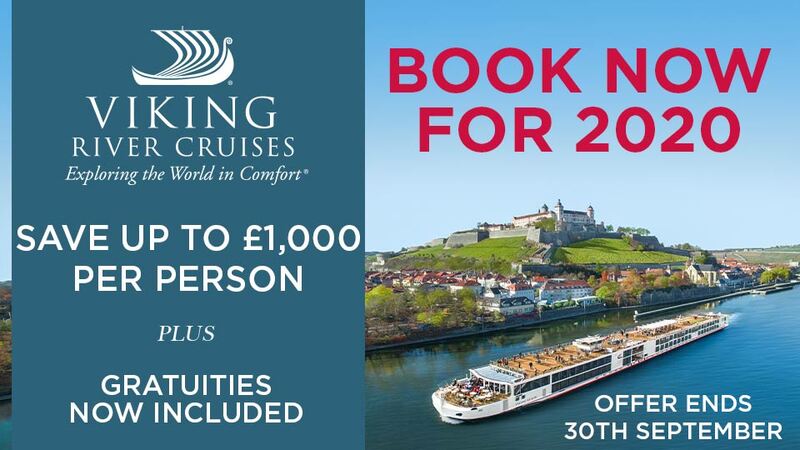 Perhaps take a moment to unwind in the spa, or enjoy watching the scenery float past as you lounge on the Sun Deck. This evening, a delicious dinner is served on board. The morning takes you towards the quaint town of Sa Dec as your ship cruises past scenes of charming rural life. This delightfully sleepy locale is where French writer Marguerite Duras met her Vietnamese-Chinese lover, Huynh Thuy Le. On arrival, tour Huynh Thuy Le’s old house and learn the story behind Marguerite Duras’ best-selling novel, The Lover. 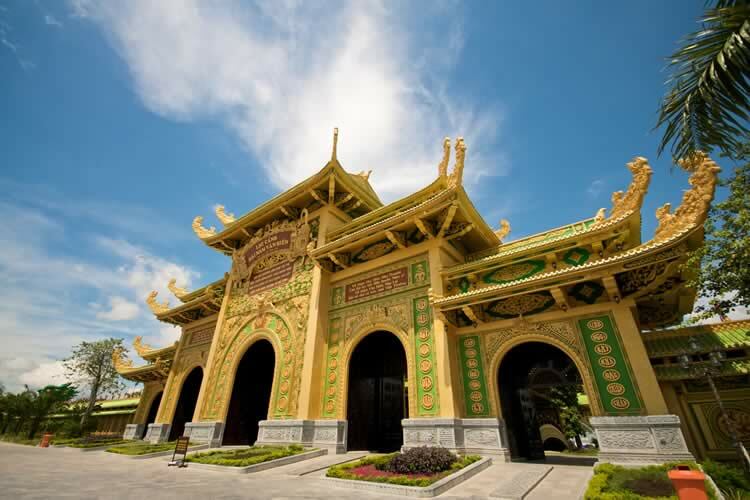 Later, pay a visit to a traditional Cao Dai temple. Watch visitors and pilgrims come and go, and appreciate the beauty of the building. This afternoon you continue to Cai Be. Once here, step ashore to visit the French Gothic cathedral as well as the colourful port area, which is filled with crumbling colonial buildings and delightful flowering gardens. Afterwards, you’ll visit a rice paper manufacturer and learn about how this traditional Vietnamese food is made. Disembark at My Tho Port and continue to Ho Chi Minh City (Saigon). Once a bustling French colonial city previously known as Saigon, today Ho Chi Minh City offers a myriad of attractions that display both its rich culture and fascinating history. Your first day in Ho Chi Minh City offers you the chance to choose from two Signature Experiences, during which you’ll learn about Vietnam’s recent past. Retire at the Park Hyatt Saigon after. SIGNATURE EXPERIENCE: On the first Signature Experience, journey to Ba Ria and learn about the Battle of Long Tan. Afterwards, attend a memorial service at Long Tan Cross – a memorial erected by the 6th Battalion, Royal Australian Regiment, which is set in a rubber plantation and marks the site of the Battle of Long Tan. On the second alternative, visit the impressive Cu Chi Tunnels, an incredible tunnel network constructed by Vietnamese resistance fighters during the war. These tunnels served as Viet Cong hiding spots, supply and communication routes, as well as hospitals and weapon caches. SIGNATURE EXPERIENCE EXCLUSIVE! This evening, celebrate your journey with a special dinner. Head to Vietnam House where an impressive menu created by APT Ambassador Luke Nguyen awaits. FREEDOM OF CHOICE: Perhaps enjoy a leisurely walking tour of Ho Chi Minh City, visiting the Reunification Palace and the Central Post Office. Or jump on the back of a motorbike for an exciting city tour. Alternatively, tour the Ky Long Art Villa where you’ll learn about Vietnamese lacquer art and see artist workshops. You may like to try out your culinary skills with a fun cooking class at GRAIN by Luke Nguyen cooking studio, or delight in an exciting shopping tour. After breakfast, transfer to the airport this morning for your overnight flight to the UK.